The Shumway Fire Protection District Family. The Shumway Fire Protection District is a progressive service, orientated organization that provides innovative and effective leadership through our ongoing education and training. While life safety is always first and foremost, protecting property is also part of our department mission. To provide structural, wild land, and specialized firefighting capabilities to manage and suppress fires of all types, kinds, and complexities while protecting the lives, property, and the environment. To the extent possible, your firefighters make every effort to protect your structure and belongings. They value what you value. The SFPD is ultimately in existence to provide lifesaving actions in real emergencies. Your life and the lives of your loved ones are our #1 priority! It's a mission the department performs through professional medical services. As an organization operating at the First Responder level, we are a vital component in providing the best patient care available for our community. The SFPD has technical rescue capabilities consisting of specially trained firefighters in vehicle extraction, hazardous materials, rope rescue, confined space, and trench rescue. These specially trained personnel are a valuable resource to the Fire District and the service community during extraordinary incidents of flash floods, river emergencies, auto extrication, and confined space or trench rescue. The best fire is one that never occurs! Or, if it does occur, one that minimally impacts life and property. That's what enforcing fire code and fire prevention philosophies is all about. As a full service fire department, we believe prevention is just as important as suppression. Another facet of preventing avoidable fires, injuries, and even deaths, is to educate citizens and business/property owners on how to react in the event of a fire. The SFPD provides outstanding public education through community events, department initiated programs, and presentations. The SFPD was established to provide service to the Village of Shumway and the unprotected greater Lake Sara Area. The SFPD signed a mutual aid agreement with the state Mutual Aid Box Alarm System, providing additional resources to the community. The SFPD Board of Trustees agreed to compensate volunteers due to their dedication and training, establishing a paid on call service. The SFPD completed First Responder Medical Training and certification to increase medical readiness and care to the community. Nam aliquam pretium feugiat. Duis sem est, viverra eu interdum ac, suscipit nec maur pendisse commodo. Pretium feugiat. Duis sem est, viverra eu interdum ac, suscipit nec mauris. Suspendisse commodo tempor. Engineer Lloyd Tarrant received the 2014 Firefighter of the Year award for his dedication to duty. 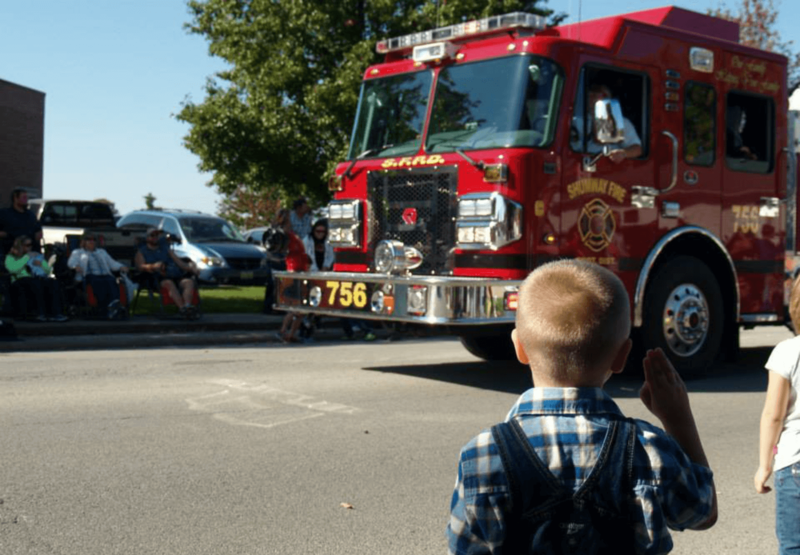 The Shumway Fire Protection District is committed to providing dependable service in a professional manner, while showing compassion for those in need. More about our principles and commitment. More about Shumway Fire Protection District.